My name is Roy Meyer and I’m the proud uncle of Charlie Wachholtz who is the bravest little boy and one of the coolest God loving kids I’ve ever met despite the endless medical challenges he’s endured since birth. I thank-you in advance for taking this time to read Charlie’s story which continues to be an uphill medical battle not to mention a mentally draining and financially devastating struggle for my sister and her family that has spanned over the past 13 years. If you know my sister, you know she and her family have never been one to ask for anything yet have always been the first in line to give to so many in need, however; her family is simply no longer able to endure the continual and tremendous mounting financial burden placed upon them due to Charlie's past, present, pending and future care costs and medical needs including the 53 surgeries Charlie has already been through to date. Please know, ALL proceeds raised through this site will be used “only” for Charlie’s direct benefit and ongoing care needs not covered through insurance. Charlie was born as what all tests indicated as a healthy boy and we took home our beautiful son after the typical two days stay in the hospital. 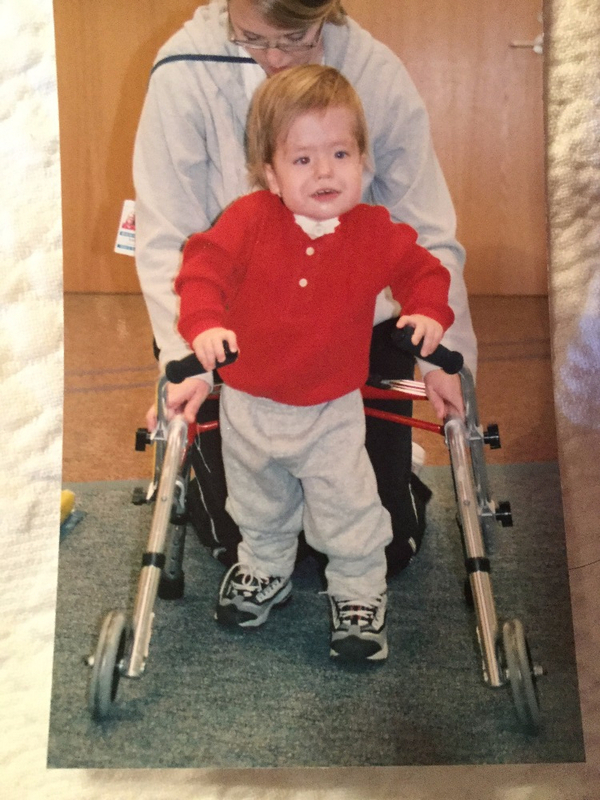 His incredible journey started just one month later when he stopped breathing in his pediatrician’s office after which we were immediately admitted to Children’s Hospital for tests and observations. While prepping for his first of many MRI’s, Charlie "coded" (nearly died) in my arms and we found ourselves watching our 1 month old son in the PICU, requiring assisted breathing through a ventilator. The doctors told us to “prepare to let him go” as he was not improving; however, that was never an option for us or Charlie and we would not even entertain that possibility. 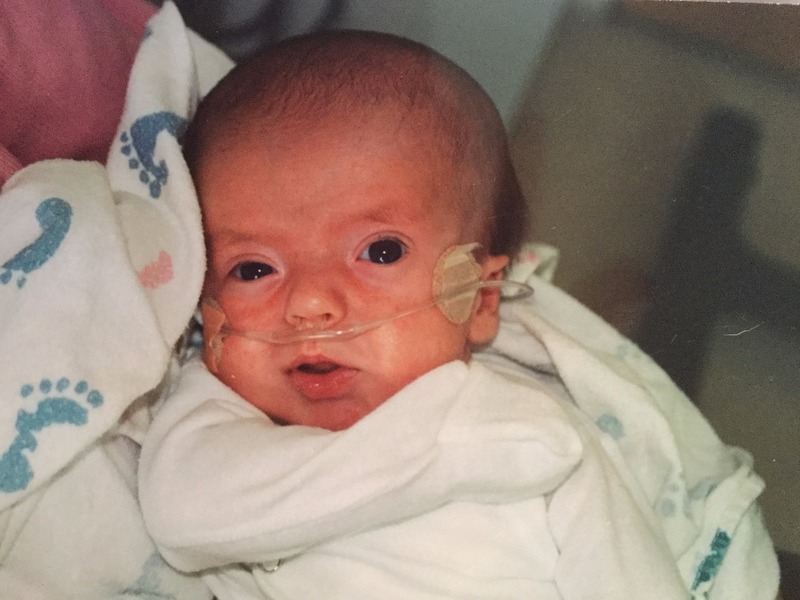 Charlie was eventually able to wean off the ventilator and breathe on his own for a short time; however, he soon required a tracheotomy to breath as his breathing proved to be too laborious to support on his own. Unfortunately, Charlie’s struggles in the hospital just 1 month after birth were only the beginning of a very long and painful journey that continues to this day. Since that first hospital stay, Charlie’s various medical conditions have proven to be a never ending challenge for all of his doctors and surgeons and his care has been anything but textbook. 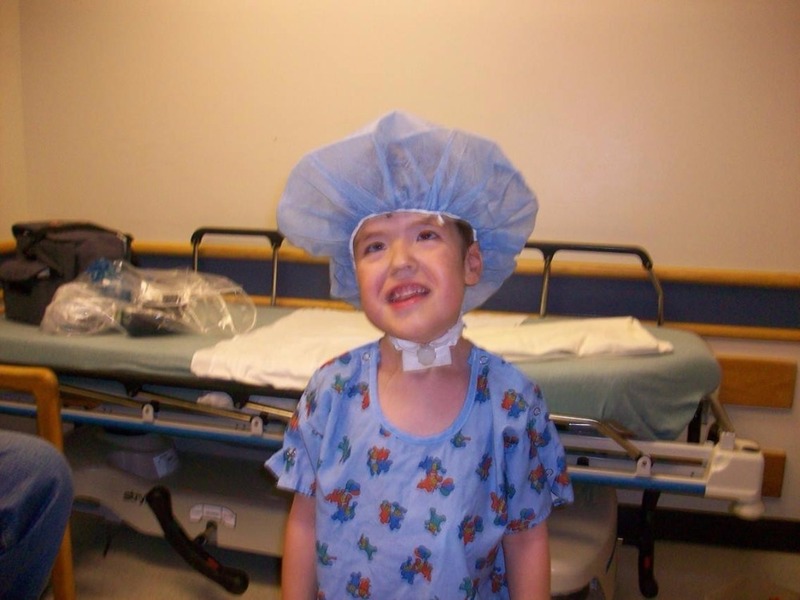 One of the core concerns has been his airway, and while he has an amazing team of doctors and surgeons at home he was referred to the specialists in Otolaryngology at Cincinnati Children’s Hospital. 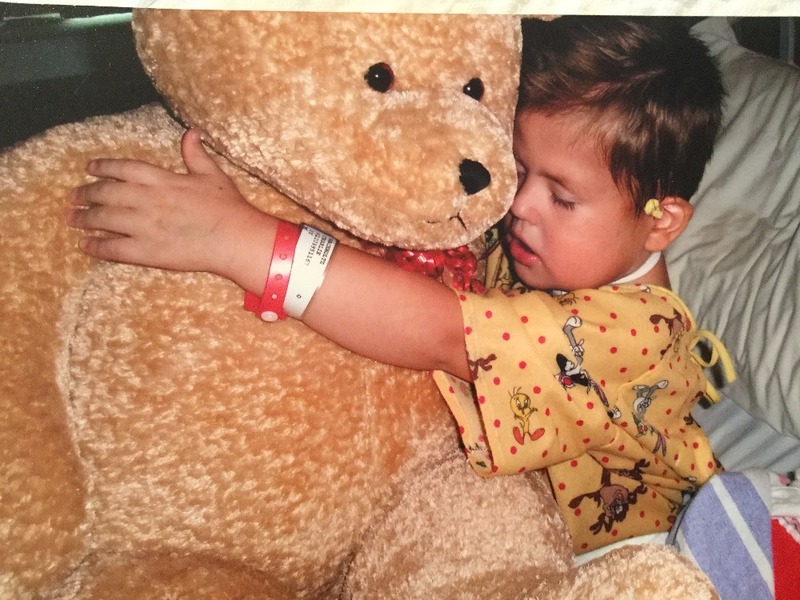 After countless visits and procedures, Charlie’s airway was re-constructed and was finally viable to support unassisted breathing. 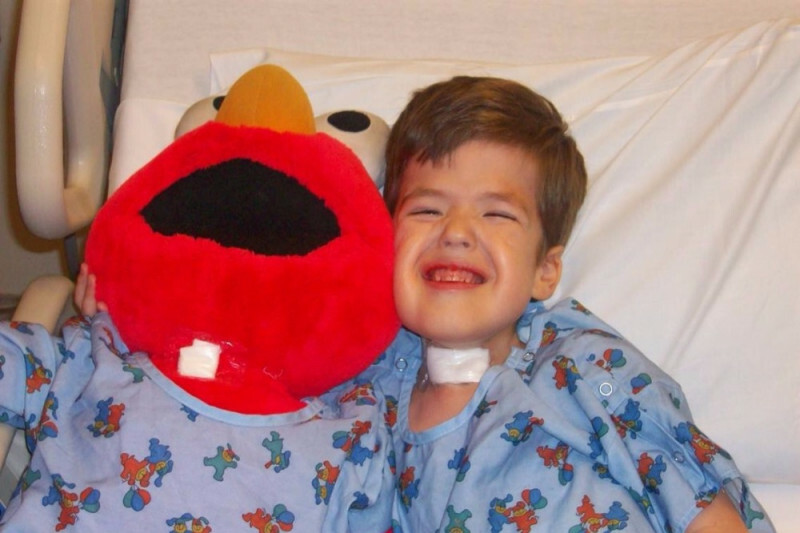 He was finally de-cannulated about 5 years ago and was able to breathe without the assistance of the trach. The morning of that operation presented a rainbow in the sky on the drive to the hospital and proved to be a miraculous day for Charlie. In addition to Charlie's airway issues, Charlie also has a condition called Hydrocephalus which requires a shunt to be attached to his brain ventricles which regulates the flow of ventricle fluid to maintain normal levels. The shunt needs constant monitoring and has malfunctioned and needed to be replaced several times. Charlie also had a feeding tube for the first 6 years of his life until he was able to eat and swallow safely on his own. Charlie also required recent surgical intervention for both his vision and other related conditions which are continually monitored to this day. In total, Charlie has undergone "53 surgeries" in his short 13 years which averages out to 1 major surgery every 3 months of his life so far. Charlie has overcome countless doubts and exceeded all expectations for his quality of life and overall abilities. Charlie has such a dynamic spirit surrounding him and he truly loves life. Throughout his entire life, Charlie has never complained or asked why he has had to endure so many struggles and so much pain. In addition to his ongoing medical challenges Charlie also has experienced and been forced to learn how to deal with bullying and insensitivities of other kids his age. Regardless, Charlie maintains such a positive energy and concern for others’ well-being that mirrors none I’ve ever seen and he continues to touch the lives of so many in such a moving and positive way. During this past Easter Sunday service, while sitting in the church pew listening to the “Passion Story” Charlie turned to me and asked why Jesus was ‘not liked’ and what he was trying to do. After much conversation on the topic, Charlie sat in silence for a short while and then told me, “Momma, if Jesus wasn’t enough and it would help everyone then could you put me on the cross to help as well.” I broke down on the spot. After Charlie’s de-cannulation for just a short while he settled into an uneventful, healthy status quo with no surgical interventions needed. However; a few months ago we again noticed Charlie’s breathing was becoming more labored, he constantly seemed overly tired and his airway appeared to be compromised yet again. As such, his ENT surgeon immediately took him into the operating room and discovered a serious issue that she was unable to explain, nor able to fix, a situation we had heard so many times before. Charlie’s airway was collapsing yet again as it did when he was a newborn and a mass was also found beneath his vocal chords causing him to breathe inefficiently when he sleeps. With these recent new findings, we are once again being directed back to Cincinnati Children’s Hospital for evaluation and at this point an unknown intervention to address Charlie’s symptoms. Our initial visit is scheduled for a four-day testing and discovery phase with the Otolaryngology Specialist, Pulmonology and Aero Digestive Team after which they will decide on how best to move forward. At this point we are heart broken once again and sadly unsure of what to expect in regards to his health and outlook for the future. Charlie is also now expressing concerns as he is older and comprehending more of the situation in front of him. We are hopeful God will provide the doctors and specialists in Cincinnati with clarity in their diagnosis and clear vision for moving forward as we want Charlie to have the best quality of life possible, which simply means “everything” to us. This is extremely difficult asking for help and we don’t want people to see only what is wrong with Charlie, but also what is good and beautiful about him as well. He truly is filled with so much love and he touches and changes the lives in unimaginable ways of everyone he comes in contact with. We ask for your compassion and your prayers however; we’re not asking for sympathy. We’re hoping for your help because you want to see Charlie thrive in the body God has given him and not because you think life is difficult for us. Times are definitely tough however; we also realize there is so much need in the world and there are so many fighting battles similar or even worse than Charlie's. So we ask for your prayers as well as any donations you’re able to help with as there is no donation that's too small. 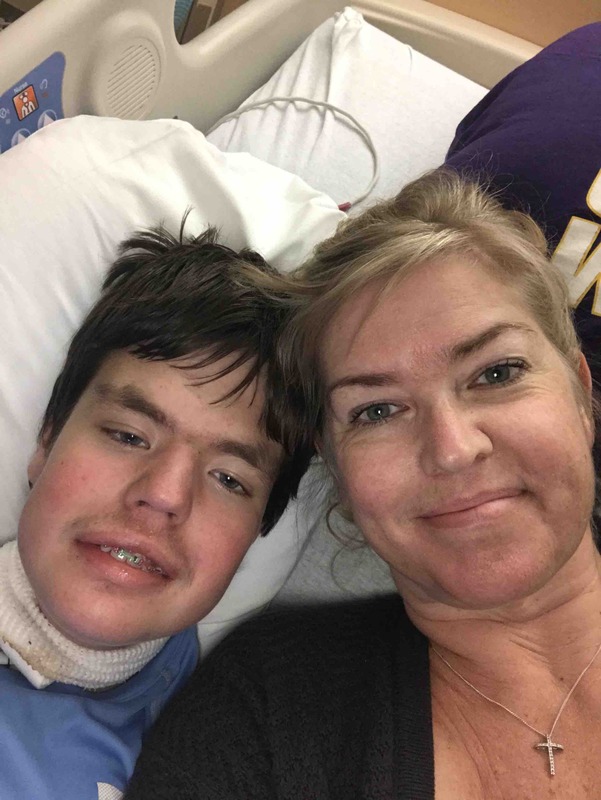 If you would be so kind, we also ask that you help spread the word about our amazing son Charlie by sharing this page and his story on your social media pages. You can also tell people to go to www.CaringForCharlie.com and it will forward to this page as well. Sincerely, from the bottom of our hearts thank you so much! I was just this past week reflecting about one year ago when we were preparing for our trip to Cincinnati Childrens Hospital and how well Charlie has done since then. Not a day goes by that we haven’t been so thankful for the amazing team both in Ohio and home in Omaha. I can't believe it's been four weeks since we've been home and I'm happy to report that Charlie is doing so well ! He had his follow up bronch yesterday, in Omaha, and his surgeon was very happy with what she saw. His grafts are both almost completely mucosalized, his airway has maintained the same size and no new surprises have shown up since Cincinnati. It was so good to be back at our home base and Charlie was again spoiled by his favorite nurses. Thanks so much Joni and Tricia for taking care of him . Charlie's surgeons still want to oversee and monitor his tongue base to see if anything needs to be done but we are hopeful that we can avoid another jaw distraction. Charlie has appointments in the coming weeks with his neurosurgeon to check his overall shunt function and unless problems present, we have a few months until we need to return to his Airway surgeon! Once again Charlie has beaten the odds and outperformed his doctors' expectations and we are so incredibly thankful for all of the support and especially prayers during this time. Woohoo- he's coming home !!!!! Charlie's third bronch was today and brought continued good news. The air holes are completely closed, the incision at his neck has completely healed and his airway remains nice and clean and open. The grafts are still intact but his skin hasn't grown around them as the surgeon was hoping by now. However in light of everything else, this was not enough to keep him in Cincinnati. Additionally, his headaches have stopped and his lung infection has cleared up completely. Assuming no complications arise, the next bronch will be in 4 weeks and thankfully can be done in Omaha. We'll see how things look and go from there and pray that future surgeries are not needed. For now, Charlie is looking so forward to being at home as he has missed his dogs, his brother and his swing terribly! Chad and I are just excited to have the family whole and in the same state again after almost a month. Also looking forward to Charlie's voice returning, hopefully it won't be much longer until he's back to asking his many questions with a full voice again. Thank you for your continued prayers and support. We couldn't have gotten through this incredibly tough time without all of you! Charlie's second bronch was today and was good news! The air hole closed itself and therefore not requiring additional intervention in his airway. His airway remains more wide open than we have ever seen . Today the surgeons took out his neck drain and expect the site to close on its own. Charlie still complains of bad headaches and pain but his lung infection has finally cleared up. There is another bronch scheduled next week and we are praying that his drain site has healed and that no unexpected surprises present themselves. Charlie is still building his strength up with short walks and bedside exercises. He is ecstatic to be able to eat again and has us running quick laps to the popsicle freezer. Charlie has won over all of his nurses, doctors, respiratory therapists and other caregivers in the last few weeks. He continues to be an inspiration to everyone as he battles through the most incredible pain and circumstances. I am certain I would not do so with as much courage and grace. I am sorry to hear Charlie has to be put through more tests. I am praying it is an easy fix and he can feel good again. Charlie and his whole family are in our prayers everyday. Praying for his recovery! He is such a beautiful spirit! Continued thoughts, hopes and prayers for Charlie and for all of you! Praying for Charlie and his family.